KR Products is a specialist manufacturer of floodlight brackets for electrical wholesalers and their customers worldwide. 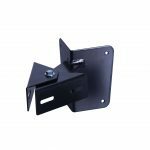 We produce a range of adaptable brackets that allow users to mount floodlights and concentrate light into any area where illumination is required. Our product range includes wall mounted swivel brackets, pole and column brackets, corner brackets and ground spikes. At KR Products we offer excellent value for money and high quality products to wholesalers and end-users. 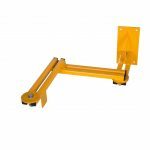 For electrical wholesalers who provide floodlights; stocking our floodlight brackets offers an easy means of boosting sales from your customers. Our brackets are a convenient add-on to a floodlight purchase and have the benefit of fitting all brands of floodlights. 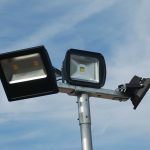 Stocking a range of universal floodlight brackets offers greater versatility to wholesalers and end-users than the expense of having to source brand-specific brackets. For end-users; independent electricians or electrical contractors, our products enhance all types of floodlight by letting you concentrate light wherever you need it. Our brackets are designed to be flexible, with a generous level of movement available on both the horizontal and vertical axis. This gives you greater potential coverage when installing floodlights, cutting costs by requiring fewer lights to cover the same area. If you are a wholesaler and are interested in stocking our products, or if you are an electrician seeking information about local availability, please get in touch with our service team by calling 01451 822 320. Alternatively, request a call back through our contact page and one of our team will get back to you at a time of your convenience.